It received an order from the Interior Ministry. 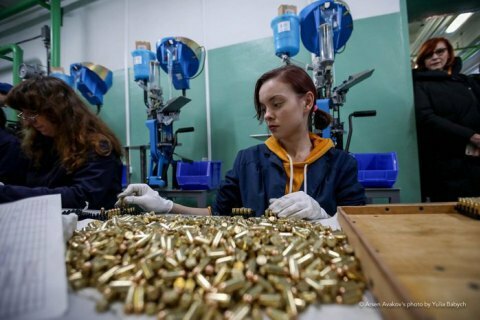 The Vinnytsya Fort plant has launched a full-cycle production of pistol cartridges for the Interior Ministry. The plant manufactures bullets and shells for 9x18 mm (Makarov) and 9x19 mm (Luger) cartridges. These pistols are used by police, the National Guard and the Border Guard Service. Interior Minister Arsen Avakov said these agencies' demand for ammunition would be met in full while the excess could be sold to other agencies or exported. Currently, two shifts can manufacture 14m cartridges per year.